“Too much salt is not good for the family!” declares the mother. “But the food is so bland and tasteless!” insists the daughter-in-law. She drops in a pinch of salt when the mother’s back is turned. With each trying to have her way, both end up eating a dish that neither one of them enjoys. But the consequences may be far more serious than that. In-law friction may lead to mental and emotional struggles that last for years. For many, this kind of conflict seems unavoidable. But the problem is not limited to certain countries, it is universal. 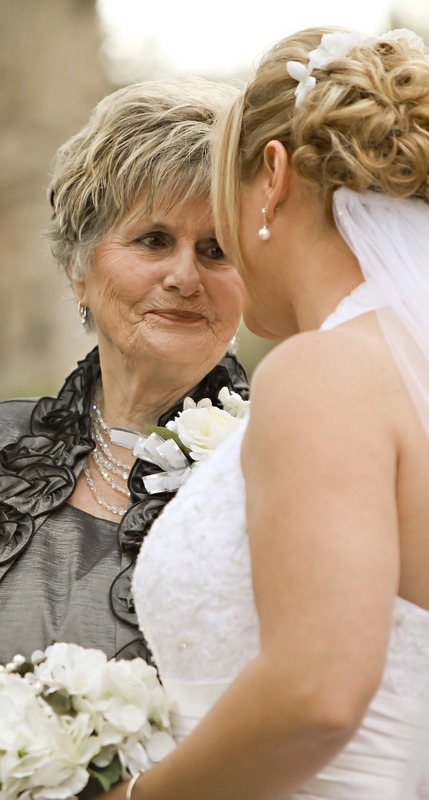 The custom of getting married and moving in to live with the parents of either the bride or the groom has caused problems in many families, and many a young wife suffers because of the often meddlesome and authoritarian attitude of her mother-in-law. What, then, may cause the problems? When two women share a kitchen, the issue often is: Who makes the decisions? “Our tastes and methods differ, and I was flustered every time a disagreement arose,” says a woman who has lived with her mother-in-law for more than 12 years. “For the first ten years, we confronted each other on trivia,” admits another daughter-in-law. Disagreements may rise over things as insignificant as how to hang shirts on the clothesline. Even if the women do not live in the same house, the situation may be troublesome. A visiting mother-in-law who makes such comments as, “My son doesn’t like his steak done that way,” may result in lifelong hard feelings. It all comes down to who makes what decisions and for whom. The two generations must come to a reasonable agreement based on the physical and mental condition of the older and the experience, or lack of experience, of the younger. When two or more generations live in the same quarters, family members must sacrifice their privacy to some extent. In this, however, each member is likely to have a different yardstick. A young couple may yearn for more privacy, while the elderly may thirst for more companionship. For example, a daughter-in-law felt that her mother-in-law invaded the couple’s privacy. By taking in the personal laundry of her and her husband, folding it, and putting it away. She did not consider it proper for her mother-in-law to do these personal things for them. On the other hand, her mother-in-law, became distressed when her daughter-in-law, in tidying up the house, discarded items that she had cherished for years. Invasion of privacy can become extreme. Tom and his wife, who took care of Tom’s elderly mother, were disturbed by her excursions into their bedroom in the middle of the night. Her reason? “I wanted to see if Tom was all right,” said the mother. The problem was not solved until they moved into a two-story apartment and the mother was forbidden to come upstairs. In many families, though, it is when the third generation comes along that problems really intensify. Nowadays, it is common for a young mother to consult various books for advice on child care. On the other hand, grandmother, with her years of experience in child training, naturally feels that she is the one qualified to give advice. That advice, however, is often viewed as criticism, and conflict results. Takako had to deal with this problem when she disciplined her young son. Her husband’s mother and grandmother rushed into her room to stop her, shouting even louder than the crying baby. Feeling intimidated, Takako stopped disciplining her son. Later, realizing the importance of providing discipline, she decided to resume such training. Another mother also struggled with her mother-in-law after the children were born. The mother was annoyed that grandmother gave the children snacks between meals so that they were too full to eat their meals. He advises that young mothers make it clear that they will make no concessions on child training. In this conflict between mothers-in-law and daughters-in-law, there is something quite irrational at work. The result is a strained relationship, if not outright rivalry between the two of them. This tendency seems to intensify as the size of families decreases. With fewer children to care for, the mother feels closer to her son. After years of living with her son, she is well aware of his likes and dislikes. Though the new bride is anxious to please her husband, she lacks this intimate knowledge, at least at first. A competitive spirit may therefore easily develop, with mother and daughter-in-law vying for the affections of the same man.